In the world of internet marketing, we get to measure everything. This is both a blessing and a curse, because with such an overwhelming amount of data, we can catch ourselves measuring things that don’t matter to our bottom line. I could write a book on this, but for the purposes of this blog post I want you to have one solid take-away, and that take away is this. Your conversion rate means nothing… in isolation. Can you pay your bills with a conversion rate? Can you buy traffic with your conversion rate? Of course not, you can only buy things with $$$. This is a metric that is more focused on looking good than actually being good. Conversion rates are in many ways the ultimate vanity metric, because they neglect to account for WHAT you’re converting. At Mindvalley some of our most successful launches have sales page conversion rates of around 3%. That means for every 100 people we send to a page, only 3 buy. And 97 people leave empty handed. Except that those 3% of people are buying a product for $997. Meaning that crappy 3% conversion rate gives the sales page an EPV (earnings per visitor) of about $30 per person that lands on the page! 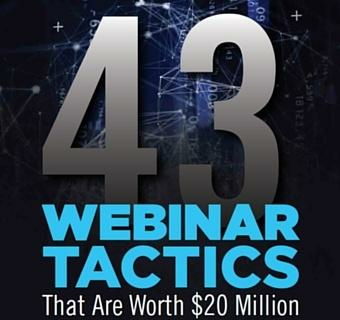 With just 33,000 clicks, you hit a million bucks in sales. Kind of puts things in perspective doesn’t it? Meaning the same 33,000 clicks would net me $100,000. $100,000 vs $1,000,000 but both pages have the same conversion rate? You can see why this is a rookie way to measure marketing performance. So, always pay attention to your Earnings Per Visitor, and if you’re hiring a copywriter that is boasting about their high converting sales page, make sure check and see what the EPV actually was. The other area you see this is in traffic generation, where optimising for a high conversion rate often leads you to play small. Conversion rate neglects to account for overall scale, cost per acquisition, and lifetime customer value. Firstly, as you scale your marketing efforts your cost of customer acquisition tends to rise. In essence, you will experience a decrease in conversion rate as you scale your traffic. This is common, and happens as you go beyond your low hanging fruit customers. This is absolutely fine, because your net sales volume will still increase, often still within the range of profitability. Your challenge as a business owner is to find the sweet spot where your net sales volume is as high as it can be, despite a lower overall conversion rate. This level of thinking is the distinction between “internet marketer” and the successful entrepreneur. It’s when you understand the true nature of your business as a complex system, that you become empowered to optimise it beyond the limited nature of the “conversion rate”. Indeed, when you begin to see your business as an engine designed to sustainably provide as much value as you can, to as many people as you can, then you can optimise it as such. Size matters… Or does it? Again, this doesn’t tell the whole story. Because not every subscriber is created equal… at least as far as converting to a sale is concerned. In our own testing, we’ve found that a buyer lead is worth at least 10x a regular prospect. That means, someone that has bought something from you is FAR more likely to buy in the future. In any event, if you know this, you can dramatically increase your effectiveness by focusing on the tasks and metrics that matter to your bottom line. Check out this case study from Ramit Sethi’s 5 million dollar launch… where his customer list of 10,422 generated the same amount of sales as his prospect list of 178,111! That’s a 17x performance difference, simply based on the quality, relevance, and buyer intention of the lead. So what’s the take-away from this post? Focus on what matters. Ignore the vanity metrics. And enjoy the freedom and prosperity that an online business can bring you. There are some fantastic books that explain this way of thinking further. A personal favourite of mine is Getting Everything You Can Out of All You’ve Got by legendary business consultant Jay Abraham. Gavin Abeyratne is a growth hacker and strategist at Mindvalley. Super amazing article. Gavin is a complete B0$$ at traffic and all-around genius when it comes to this. 🙂 Pleasure to know you!